Alexandre Dauge-Roth is Associate Professor of French and Francophone Studies. His scholarship and teaching investigate the social dynamics and polemical tensions between personal memory and collective trauma through testimonial literature, cinema, and documentaries. 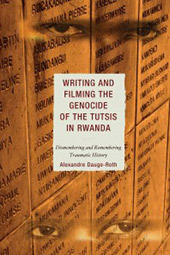 He published Writing and Filming the Genocide of the Tutsi in Rwanda: Dismembering and Remembering Traumatic Historyin 2010. He has also explored social practices of exclusion and inclusion in the context of the AIDS pandemic in Sub-Saharan Africa through the works of Koulsy Lamko and Fanta Regina Nacro, graft and transplant as prominent metaphors for the migrant and the host in the works of Malika Mokeddem and Jean-Luc Nancy. In his research on contemporary French literature, he published essays on Hervé Guibert, François Bon, Georges Perec, and Claude Simon. His teaching addresses issues of social belonging and identity through the historical, political, and medical representations of borders and the body in contemporary French and Francophone literature and film. In Spring 2007, he hosted an International Conference on Rwanda at Bates. In November 2014, he co-organizes an interdisciplinary conference and a film series in Paris on the representations of the Genocide against the Tutsi of Rwanda: Rwanda 1994-2014 : constructions mémorielles et écriture de l’histoire. 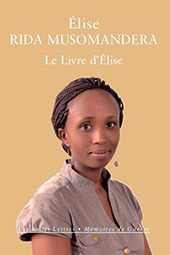 “Vingt ans après… témoigner pour faire corps avec son présent.” Foreword and Afterword to Élise Rida Musomandera Le Livre d’Élise. 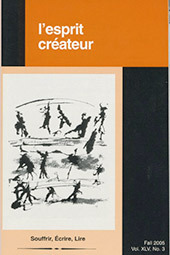 Paris : Les Belles Lettres, collection “Mémoires de Guerre,” 2014. 11-14 & 97-102. “La rencontre testimoniale ou le devoir d’hospitalité et d’interruption face à l’ob-scène.” In Emmanuel Alloa & Stefan Kristensen eds. Témoignage et survivance. Genève : MétisPresses, collection “Imprescriptible,” 2014. 203-224. “Fostering a Listening Community Through Testimony: Learning with Orphans of the Genocide in Rwanda.” Journal of Community Engagement and Scholarship. Vol.5.2 (Fall 2012). 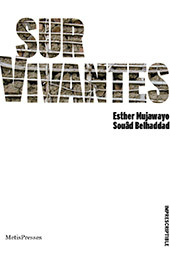 “Face à l’oblitération, témoigner pour se ressaisir vivante.” Afterword to Esther Mujawayo and Souâd Belhaddad SurVivantes. Genève : MétisPresses, 2011. 281-293. 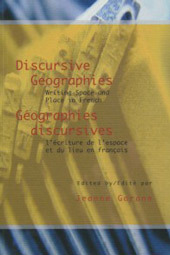 “Du non-lieu au lieu-dit: Plaidoyers de François Bon pour une urbanité contemporaine.” (with an afterword from François Bon) in Discursive Geographies: Writing Space and Place in French. Ed. Jeanne Garane. Amsterdam: Rodopi, 2005. 237-266. 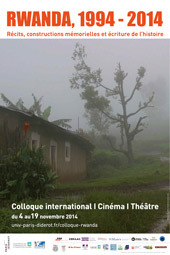 “Staging Dialogues and Performing Encounters in French AIDS Narratives.”French Forum. Vol. 29.3 (Fall 2004): 95-109. “L’intimité à l’épreuve de L’intrus de Jean-Luc Nancy et de L’Interdite de Malika Mokeddem: la greffe comme (des)saisie de soi” L’esprit créateur Vol. XLIV.1 (Spring 2004): 27-37. “Intimate Proximity: The Human Face of Genocide.” by Dana Wilke. International Educator. January-February 2013. 18-29.